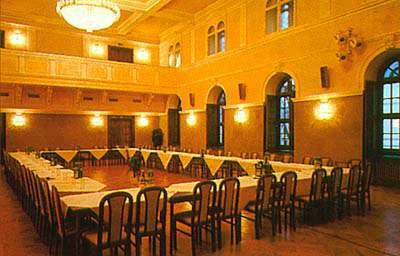 Levoca is situated in the north-western part of Eastern Slovakia, in the Spis region, and on the southern foot of Levocske mountains. The oldest finds from this area date back to the 9th century and the first written reference is found in 1249. The visitor has many cultural and historical monuments to admire in the town, these include St. Jacob`s Temple, the Town Hall, Evangelical Church, The Cage of Shame dating back to the Middle ages and around 60 houses dating from 14th and 15th century. 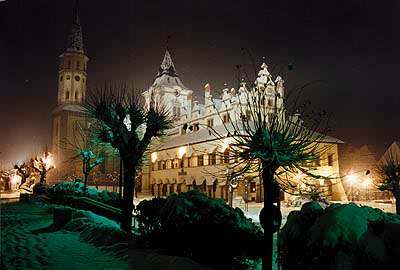 These can all be found in an area known as Master Pavol`s Square. This significant square is one of the biggest of this sort in Europe and together with conserved renaissance houses, it gives you a typical picture of the town in the Middle ages. The most important houses in Levoca are: Thursov house, Hourse of Majster Pavol, Mariassyho house, Spillenbergov houseand Krupekov house. The town is almost completely surrounded by the original walls which include 15 bastions, 6 towers and 3 gates: Kosicka gate, Polska gate and Menhardska gate. In 1950, the historical centre of Levoca was awarded the Town Monument Reservation order to preserve it for generations to come. Levoca, together with other towns situated in Spis and Gemer region, is an important part of tourist trail called “The Gothic Path” which is 267 kilometres long. This path enables the visitor to enjoy some magnificent historical gothic monuments, beautiful natural features and it also offers many areas to simply relax. For the visitor who wishes to spend a little longer in the area there are a number of local hotels in which to spend a pleasant night or two. Situated on the northern part of town`s square, St. Jacob`s Temple is a three-ship church with a massive sanctuary and beautiful gothic arches. There are also 11 original local gothic and renaissance altars conserved in this church. 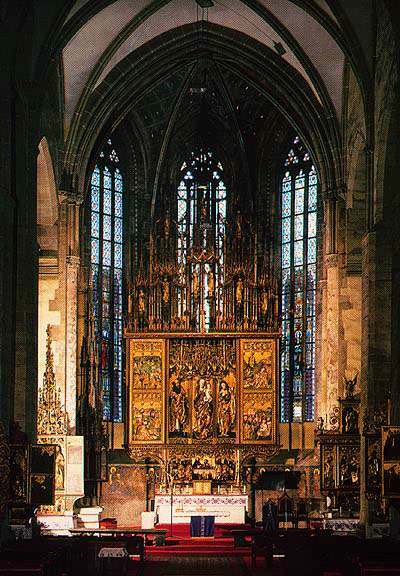 The most valuable monument of St. Jacob`s Church is The Altar of St. Jacob made my Master Pavol from Levoca in the early 16th century. It is the highest gothic altar in the world, with a height of 18.62 m. It enjoys the status of being a National Cultural Monument. The Town Hall originally comes from 15th century and was destroyed by fire on a couple of occasions during 16th century. In 1615, it was extended and the southern part together with some lovely arcades were built on the first and second floor. The outside walls are decorated by paintings showing symbols of civil virtue such as temperance, precaution, courage, patience and justice. The renaissance tower, used as a bell house in the past, is now connected to the Town Hall. 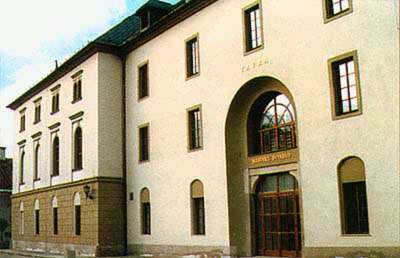 The visitors can also find Spisske museum in this building and the Meeting Hall which is currently used for local governmental purposes. This classical church is situated in the southern part of the square and was built in the shape of Greek cross with a huge cupola. The Town Theatre is place in the western part of the square and it has an important cultural function among all those magnificent town monuments. After its recent renovation, it has had its original look from 19th century returned. 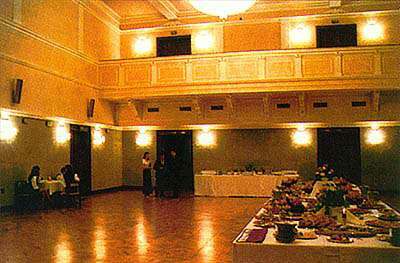 In this cultural and social complex we can find the Congress Hall, the Theatre Hall, two conference rooms and the Blue Lounge. 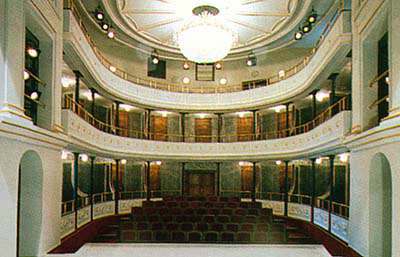 The Theatre offers a huge variety of performances, plays, cultural events, congresses, seminars, training courses and social meetings. 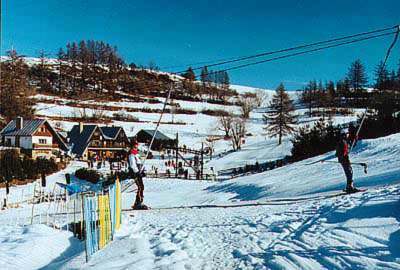 The Ski Centre Zavada is very well placed for a long skiing season enabling visitors to ski until late spring.